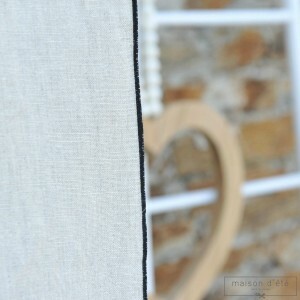 Maison d'été offers you a large selection of linen, linen gauze and linen net curtains. These are available in a large number of colors: white, ivory, natural, gray, slate, pink, purple, clay, taupe, pebble gray and many more. They are treated and sun-resistant. Our linen is of outstanding quality, acclaimed by our loyal customers in France and abroad. 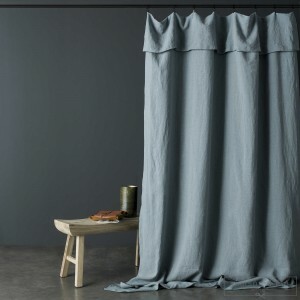 Linen curtains add that very special touch to your living room, bedroom, bathroom or kitchen. Especially for lovers of fine materials! 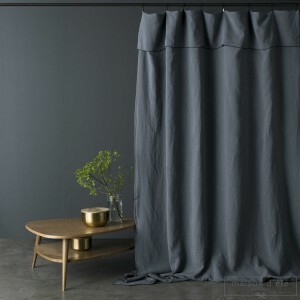 Linen gauze curtains immediately warm up a modern interior, adding a little softness and authenticity. Leave them to flow full length so you can admire this superb material - it becomes even more beautiful each time it is washed, and billows in the slightest breeze. Check out our comforter covers, flat sheets and bedspreads to mix and match, too. 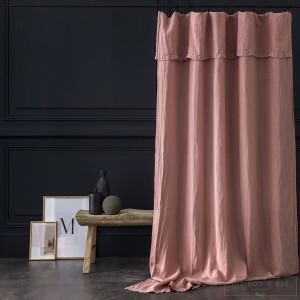 Linen gauze washed extremely gentle curtain, subtle soft pink color to create at home a haven of peace. A superb natural linen gauze curtain decorated with sumptuous lace and embroidery. 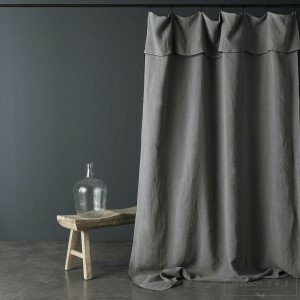 A beautiful material both supple and dense with a nice fall for this curtain in natural washed linen enhanced with a black bourdon stitching. Stone washed linen lichen curtain delicately creased. Stone washed linen pink masala curtain delicately creased. Washed nigth blue curtain delicately creased decorated with a fine black bumblebee. 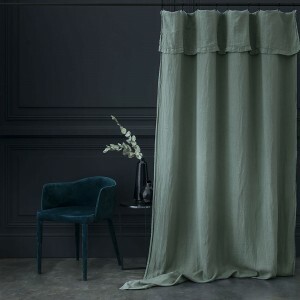 This long white linen gauze curtain with 7-tie finish is ideal for decorating your windows lightly and discreetly, delicately filtering the light.